» Am I A Freak Because I Don’t Use Pet Names? Am I A Freak Because I Don’t Use Pet Names? What does it say about me that I’m unable to call my beautiful wife or daughter by a pet name? Pet names make me feel uncomfortable, false and unnatural, like I’m overly decorating my real affection with glitter and pom-poms. Whenever I consciously refer to my wife or daughter as “Honey” or “Sweetie” it’s like a red alert goes off in my brain – “FRAUD! FRAUD! FRAUD!” And that shouldn’t be the case. My wife sometimes calls me her “Boo” which I’ve never understood, but she calls other people her “Boo” as well. I don’t think she has a special moniker for me or Sienna. She very easily switches between colloquialisms. Is it a societal thing? Am I rebelling against a world in which pet names are ingrained thanks to television and film and Hallmark cards? 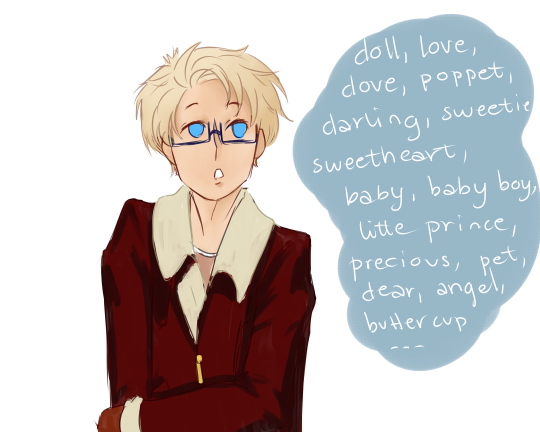 Does not assigning pet names to those most precious to me mean I don’t adore them enough? No…although society does stress pet names a bit, I also feel that they’re fairly natural terms of endearment. Sometimes they derive from an inside joke or story. Other times they’re used to make people, particularly children, feel comfortable, safe and beloved. I think my inner self recoils at pet names because I don’t think I deserve one myself – my self-loathing remains colossal. I don’t recall my parents assigning me a special sobriquet. My mom called me “Lorneeee” until I begged her to stop. I don’t remember my dad calling me anything other than my given name. Then again, there’s a very distinct possibility that I was so caught up in self-hatred that I couldn’t hear my mom calling me “Honey” or my dad calling me “Buddy.” It’s quite possible I just don’t remember. As I’ve said before depression is a narcissistic disease. You often only hear what you want to hear. I’ve written about how much I despise my name because no one seems to be able to get it right; how just about everyone thinks I’m female; how it rhymes with so many words that led to incessant teasing when I was younger. I think the fears and hatred I developed about hearing my own name spoken spread like a virus to all names. I tend not to call anyone by their names, especially if they were once in an authoritative position. For example, I’m unable to call my best friends’ parents’ by their first names even though my best friends have zero problems calling my parents Lynne and Howie. So if I have so much trouble calling my wife by her first name, it makes sense that I’d be unable to come up with a suitable pet name for her with which I’m comfortable. But why am I unable to do so with my daughter? I don’t have any trouble calling her by her given name. None. But I feel myself trying when it comes to something like “Sweetie” and thus, I stumble. I merge “Sweetie” with “Sienna” so it sounds like “Swienna” which leads to funny looks from my daughter. It’s like a catch myself before giving Sienna a nickname or pet name. Maybe I’m terrified that one day she’ll reject it and/or cringe inside like I did when my mom called me “Lorneeee,” but it’s more likely that my depression, that I refuse to allow myself to be free of rigidity and stubbornness and self-aversion. If I’m to grow, I need to get over my current inability to speak a person’s name aloud; it’s ridiculous that I’m 42 and I can’t call my someone I’ve known for 35 of those years by their first name. I found an interesting post by Elizabeth Landau on “Scientific American” about pet names in romantic relationships in which she admits there is not enough literature out there, but the majority points to an increase in intimacy amongst romantic partners (she also writes that pet names aren’t for everyone). But I found nothing scientific about pet names and children. Regardless and more importantly, I feel like I need to at least use general pet names for Sienna to help her feel more comfortable in the world and with herself, to give her inner strength and peace so that she goes to bed aglow with love. Or maybe she doesn’t need a pet name to feel good about herself. It could be that pet names and terms of endearment have zero effect on the psyche. I really don’t know. All I know is that my inability to use them gives me another opportunity to beat myself up and that is simply unacceptable.